To remove the graffiti, moss, grit and stains from your external walls, pavements, patios and driveways you should use the services of a proven agency. If you want to receive best results of the cleaning rely on our employees to carry out effective jet washing. They can restore the clean and presentable state of your hard outdoor surfaces: floor coverings, pools, walls and others. 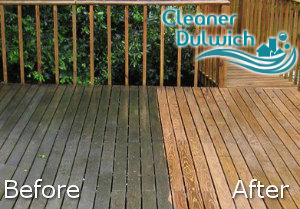 The jet washing which we provide to the Dulwich SE21 residents is effective, reliable and brings great outcomes. Our staff utilize modern and powerful machines which ensure fast and effective cleaning procedures. You can restore the presentable and clean condition of your dirty patio, pathways, driveways, playgrounds, pools and external walls. Our cleaning technicians use modern machines to pressure wash dirty outdoor areas and remove the weeds, moss, mould and stubborn deposits from them. They will apply hot or cold pressure washing which will make the tiles, slabs, bricks, paved blocks and timbers restored to their initially clean condition. 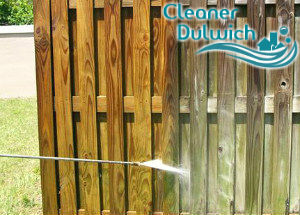 Use the jet washing we provide to make your residential and business estate, located in Dulwich, presentable and clean. We guarantee you professionally done work at a reasonable price and suitable time. The best way to maintain your outdoor areas clean is using our pressure washing services. The work will be done with state-of-the-art equipment and appropriate detergents. We have cleaned playgrounds, swimming pools, patios, deckings, exterior walls and other areas around domestic and commercial properties with great success. Rely on our certified cleaning staff to make your estate more valuable and look much better. Our jet washing services are available in SE21 during weekdays, weekends and Bank Holidays without any change in the prices. We can make your garden and yard paved, tiled, brickwork and other areas shine.